We deliver our bikes to you ready to blend. You don’t need to be a smoothie (or bike) expert and it’s easy to run your own event with one or two people. Need a hand (or foot)? We offer an all-inclusive package that takes care of everything for you from setup to cleanup. The only job you’ll have is smoothie drinker. Most events need 2 bikes. It speeds things up and allows for friendly races. Also consider your budget and event length. Just rent the bikes or have my event fully catered? 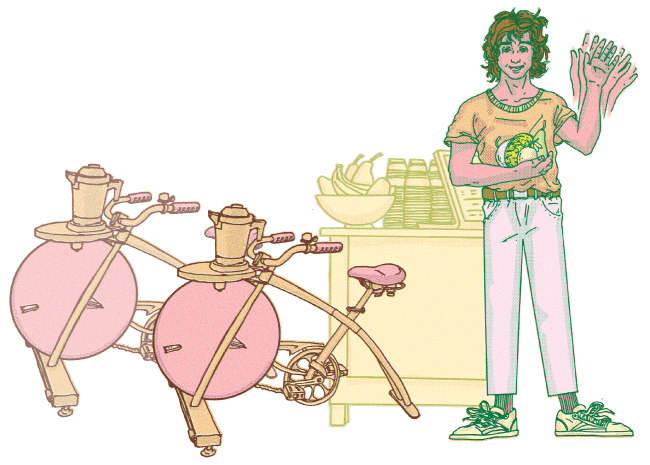 The bikes are easy to run on your own, but you’ll need someone buy ingredients and cups, and one or two people to facilitate the bike blending. We’ll provide you with a manual with recipes, ingredient shopping lists and tips for putting on an awesome event. Catering makes the most sense for larger events, or when you don’t have the logistical capability to handle getting ingredients and running the bikes. The cost is typically 3x what it would be to rent, so the more guests at your event, the more you can spread out the additional cost. How many many smoothies can you make per hour for each event? It depends on the cup size. If you’re renting the bike you can choose to use between 3oz to 18oz cups. You can make around max 30oz in the pitcher at a time thus yielding between 2-10 smoothies. Thinking about hiring us for catering? 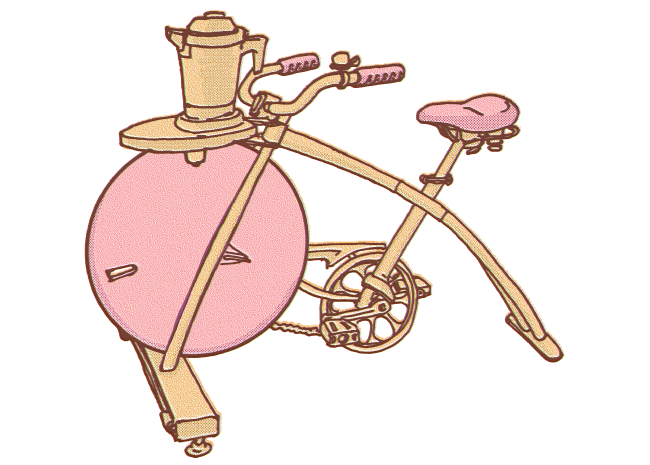 Our skilled smoothie bike operators can serve up to 100 12oz smoothies per hour. Where can we set up the bikes, and how much space do they need? Since there’s no electricity required, you can set up our bikes almost anywhere. You’ll need a spot on level ground allowing about a 10’ x 10’ of space for a typical 2-bike-setup with table and coolers. Keep in mind that you’ll also want some additional buffer space for people to hang out so they can take photos and cheer on the rider. Can you tailor your service to our brand and event? Not seeing your questions here?